Third major storm gains power as Hanna threatens U.S. There's plenty not to like about Hurricane Ike, the third major storm that's threatened Caribbean nations and Gulf Coast states over the past week. Ike is still far from land over the Atlantic Ocean, but strengthened to a category four on the Saffir-Simpson scale, which is considered "extremely dangerous." The storm is generating winds of 135 miles per hour according to the National Hurricane Center. Ike is forming just as New Orleans residents are returning to their homes after the city was evacuated in anticipation of Hurricane Gustav, which was a category three storm arriving on the third anniversary of the devastating Hurricane Katrina, and seaboard states in the U.S. are nervously watching Hurricane Hanna approach. Hanna strengthened to a category two hurricane and is expected to reach the southern coast of the U.S. by Friday. Residents of the Carolinas are preparing for the storm by boarding up windows and heading inland, as weather experts attempt to determine Hanna's uneven track. 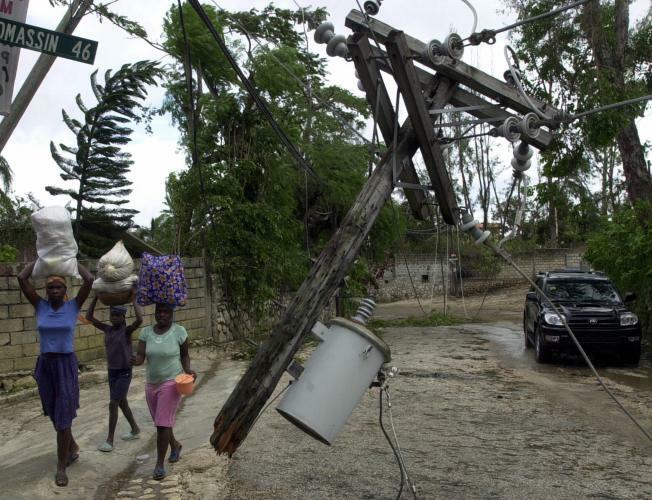 Residents of Haiti are currently in dire straits, as the poor island nation was pounded by Hanna when it was just a tropical storm. That country was devestated by heavy rains that caused extensive floording and dozens of people were killed. Since hitting Haiti, Hanna strengthened to a category two hurricane.